The Pictar Smartphone Camera Grip (Plus) adds a DSLR-style grip to almost any smartphone camera. It’s got buttons and wheels for one-handed shooting, and easy control over exposure, zoom and ISO. It offers a range of presets — auto, portrait, landscape, sport, snow, selfie — plus options to set priority for shutter and ISO, which is great for keeping focus and exposure in check when tracking moving objects. It’s also compatible with standard tripods and monopods, and it sports a cold shoe that can mount mics, lights and other accessories. There’s some high tech magic at work, too. The Pictar app detects high-frequency sounds sent from the handle whenever a button is pressed, so it uses less battery than other wireless methods. 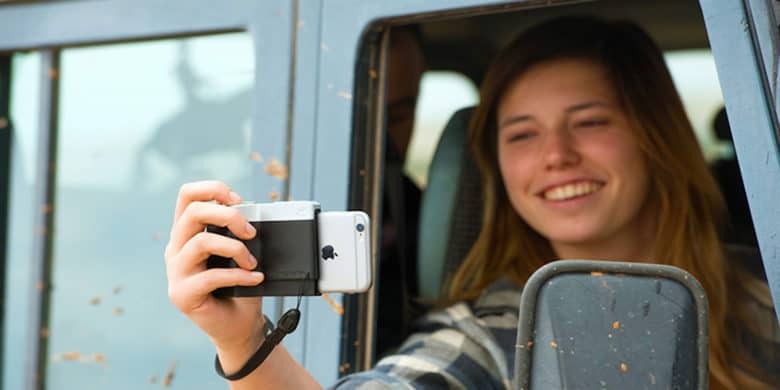 Buy now: Get a Pictar Smartphone Camera Grip (Plus) for $92.99 — that’s a 15 percent discount.